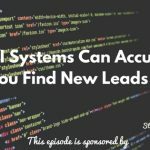 Previously, I’ve talked about how podcast guesting could actually help you in your sales process. But you might have brushed this idea aside so it bears repeating. Who knows? It could be where magic can happen. So today I’m bringing in Nicole Holland and she’s giving us great insights into getting leads and business development opportunities through podcast guesting. It’s about finding those shows that are aligned with your message and that their audience desire what you offer. Most importantly, it’s about sharing your value to their show. Nicole is the host of two awesome shows, The Business Building Rockstars and Get Guest Ready. 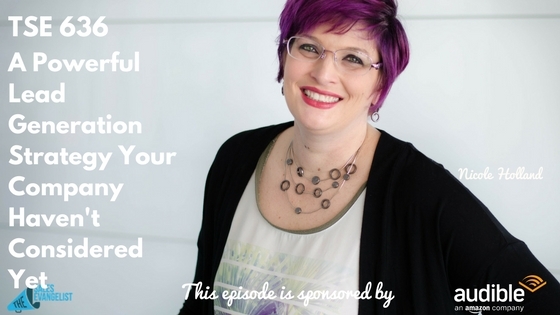 She helps subject matter experts increase their visibility exponentially through podcast guesting to create great impact, influence, and income. Find out why industry superstars consider her a genius in what she does! Recognize all the little things people do when they’re representing their businesses. Acknowledge somebody’s passion for what they’re doing. It’s all about helping the clients make the best decision for themselves. By getting on podcasts, you get to build intimate relationships with listeners. You get to share about your value or journey. The right podcasts are the ones your ideal buyer is listening to. Understand where your buyers are spending their time, who they’re listening to, and what they’re listening for. Discover that pain point that you can solve for them. When you’re so clear on how, that’s the magic! It’s not for everybody! Or is it? If you don’t think it’s going to work or you don’t enjoy it or you don’t really value connection and engagement, it probably won’t work. But in terms of the industry, it doesn’t matter what you’re doing. There are people who need your help and they are podcast listeners. As soon as you can build that reputation of being a great guest, it’s so much easier to grow with the industry and be that go-to expert. A checklist may be more effective sometimes since it doesn’t require the prospect much investment of time and money. Your audience may not be ready for it yet. Are they willing to invest in reading your eBook? Did you give them enough value to the point they’re compelled to read your stuff? Oftentimes, people offer eBooks too soon and so a lot of automated sales funnels don’t work. Know who your buyer is. Just change the language sometimes to “free report” or webinar. It basically depends on your audience. Think about instant audio download. Know your audience first and look into how you can disseminate your content in a way that they feel it’s irresistible. You have to be clear in who you really want. You want to attract people who are happy to pay you. Know who it is you really love to work with or that’s going to get the most value and become a great evangelist for you. This keeps those trolls away. The more you’re able to accept yourself, the more people that love you are going to be attracted to you. Be you! When you and bring your own magic and your own personality and your own way to the forefront and you’re not trying to fit into anybody else’s mold, that’s where you magnetize your people.